Be honest with yourself: your mother isn’t around anymore to tell you what to eat and in which order. So why not start with dessert? This japanese delicacy will make that transition easy since it is easy to eat and, surprisingly, easy to make! 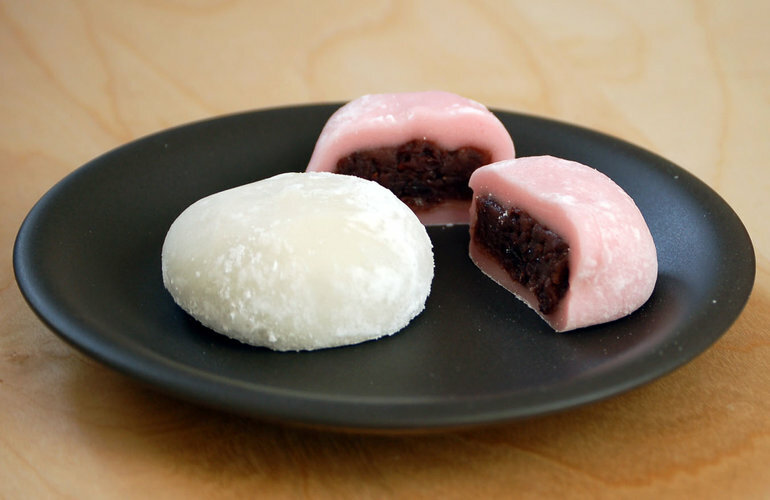 Mochi is a gelatinous shell, often filled with red bean or, the crowd favorite, ice cream, though it is not limited to these three options. It can be filled with any sweet, malleable filling. The best part is that you can make it in your microwave. 1. Mix the rice flour, sugar and water in a large, microwaveable bowl. Add the vanilla (or add a tablespoon of another liquid flavoring. I suggest lemon juice). 2. Cover the bowl with plastic wrap loosely and microwave for 10 minutes. 3. While the mochi is cooking, cover a baking sheet with flour. 4. Take the bowl out of the microwave and, while it is still hot, take the mochi out of the bowl and place it on top of the flour, so it does not stick to the bowl. 5. Let the mochi cool for approximately 5 minutes. 6. Flatten the mochi and cut into equally sized squares (about 12 pieces). 7. Flatten each piece and prepare to fill! 8. Fill ‘Er Up! The best and easiest way to fill each mochi is to turn each piece into a miniature cup, using the pinch pot method. 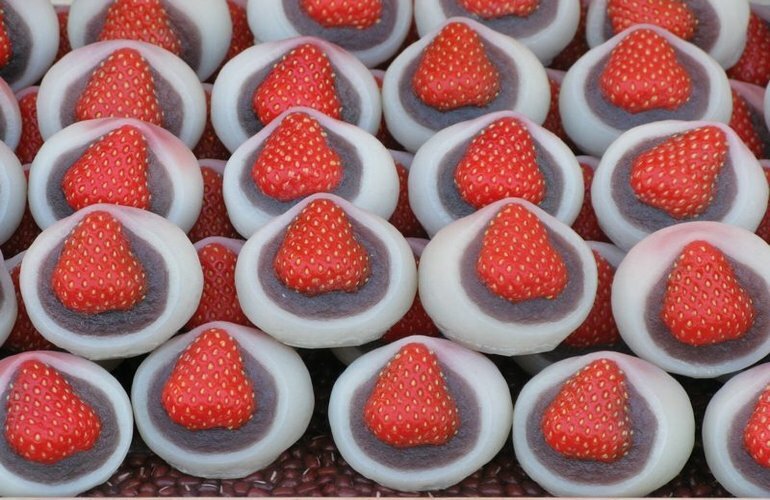 OR…combine flavors and get nutella-strawberry Daifuku!